Are you an entrepreneur, freelancer or student interested in learning more about the tech & startup scene in NYC? Great! But where do you start? Join us on our inaugural Startup Tour NYC on Monday, April 25th as we formally introduce you to the NYC tech scene and startup ecosystem. You will connect with fellow startups & technologists, meet “movers and shakers” in the NYC community, explore different resources and networks that can help your business or career and listen to great leaders in the space talk about their experiences building their ventures in New York. As a bonus, you’ll also meet & interact with members of the Philadelphia startup community visiting NYC that same day. The tour listed below was an actual event offered in April 2016. All tours provide similar content, programming and opportunities to those found from our 2016 retail and student Startup Tour program. Our goal is to help each attendee learn how to navigate and work with NYC startup & business community now and in the future. 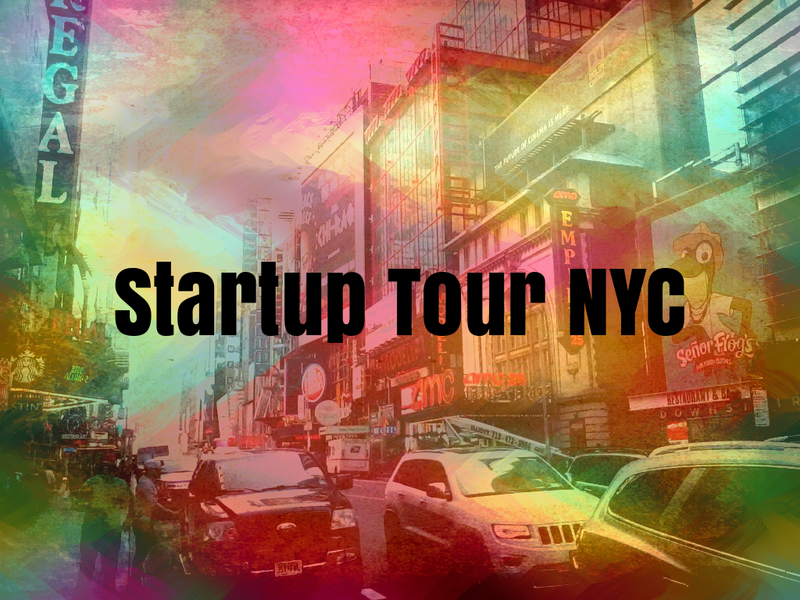 For more information on creating your own Startup Tour NYC for your group, scroll down to the bottom of the page and complete the form below. 1. Lunch event at NYU Incubator, where the group will meet with a small group of NYC tech & startup community members. Each attendee will have 30 seconds to share their current work & business needs with a panel of leaders in the community (confirmed so far are the folks who run the NYU Incubator ( Mina Salib ), Pavan Bahl (fashion tech entrepreneur), Rob Sanchez (serial entrepreneur & adviser), and James Quick (Tech Evangelist for Microsoft) for feedback & suggestions. More to come as they’re confirmed. 3. We end the day by attending Startup Grind NYC, with networking opportunities with other members of the NYC startup & business community and a fireside chat with Morgan Hermand-Waiche, founder of tech & lingerie startup Adore Me. CoTo Travel offers private groups of entrepreneurs, students, investors, executives and government delegates the opportunity to learn more about NYC’s growing and diverse tech and startup community through our Startup Tour NYC program.